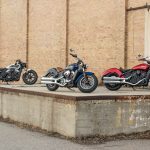 The rebirth of the Indian Motorcycle Manufacturing Company continues with the unveiling of the first new custom model under Polaris Industries ownership at the New York City International Motorcycle Show. 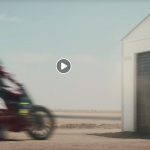 Dubbed the Indian Big Chief Custom, the one-off special is a showcase for the brand’s Genuine Indian Accessories, offering a glimpse of the possibilities for customization. The Indian Big Chief Custom was created by a crew led by the head of Polaris’s Industrial Design team Greg Brew from a 2014 Chief Classic. 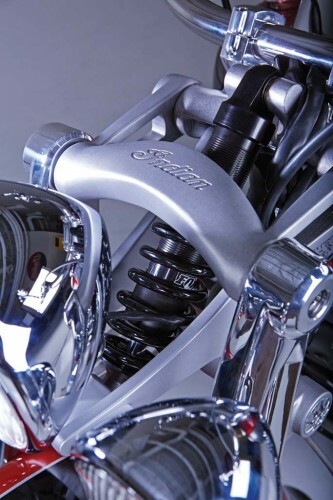 Perhaps the most intriguing feature is the Big Chief Custom’s billet girder front fork. Recalling early Indian models, the girder fork uses a single spring in a linkage system between two uprights. 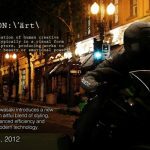 All the suspension movement is located between the triple forks above the custom 23-inch wheel. Contributing to the classic look is the custom valance fender and springer seat. The custom paint applied by team member Steve Leszinski is a multi-color theme inspired by previous generations of Indian motorcycles. 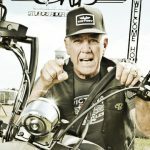 The Genuine Indian Accessories catalog contributed the cam cover, primary cover, chrome grips,beach bars and Stage 1 exhaust with fish tail tips. 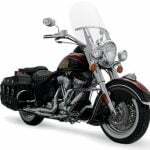 Other custom accessories include the War Bonnet floorboard pads, heel shifter and chrome rear fender bumper. 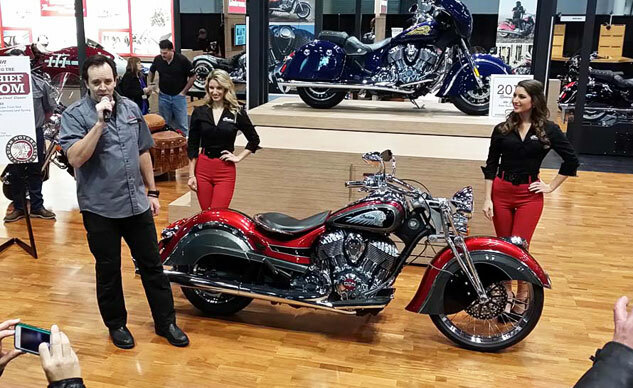 The Big Chief Custom will be part of Indian’s display throughout the rest of the 2014 International Motorcycle Shows tour.